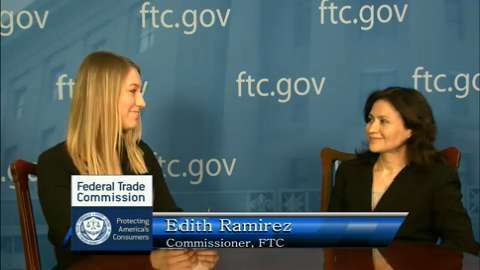 President Obama is set to appoint Edith Ramirez as the chairwoman of the Federal Trade Commission (FTC), making her the top Latina with oversight over matters such as consumer protection, fraud prevention, deceptive and unfair business practices, and online privacy protection. Ms. Ramirez is a former law school colleague of President Obama and since 2010, she has served as a commissioner at the FTC where she has been a driving force in maintaining robust competition and innovation in the high-tech marketplace. 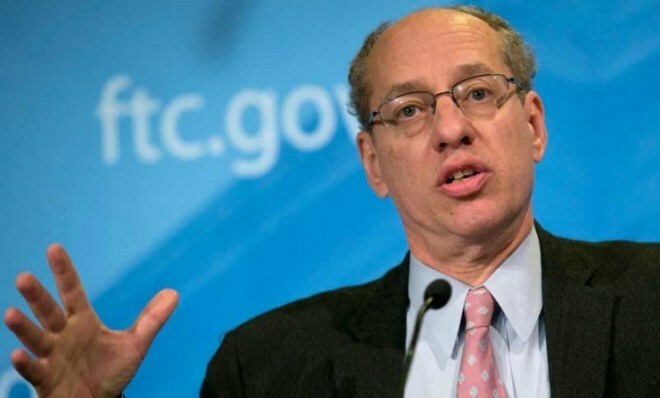 Edith Ramirez will replace Jon Leibowitz as chief of the FTC and her new role leaves an opening for a third Democratic member on the five member commission. Former radio personality turned E! News correspondent Liz Hernandez is in the know. Her job is dishing out stories about Hollywood’s hottest, and now the talented Latina has become a celebrity herself. Hernandez joined E! News Now in 2011. Prior to that she was a co-host on the nationally syndicated morning radio show Big Boy’s Neighborhood on Los Angeles’ Power 106 FM. For her time on radio, in 2005, she was recognized by the National Hispanic Media Coalition for excellence in radio broadcasting. She studied communications and psychology at the University of San Diego, and got her start in the radio industry after landing an internship with a local radio station. She has interviewed Kanye West, Jennifer Lopez, Mel Gibson, Jay-Z and Will Smith. To get to know Hernandez even more, visit her website at http://www.anditisliz.com or follow her on Twitter. 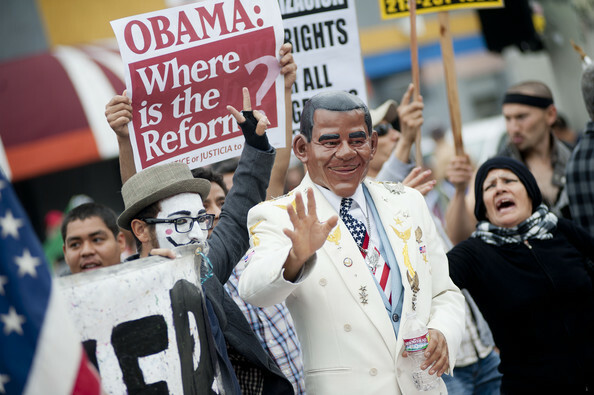 A May Day activist dressed as U.S. President Barack Obama marches through downtown Los Angeles marking the International Worker’s Day on May 1, 2012 in Los Angeles, California. Occupy Wall Street groups across the country have joined with unions during the May Day protests, a traditional day of global protests in sympathy with unions and leftist politics. On May 1, 2012, several rallies and protests took part in Los Angeles to recognize the contributions workers are making to the country and to protest for better working conditions, fair pay, and immigration reform. American Apparel (AMEX: APP), which has long advocated for comprehensive immigration reform and criticized the apartheid-like treatment of undocumented workers, will close its factory for several hours May 1 so its workers can join the march and related pro-worker activities. Dov Charney, founder and CEO of American Apparel marched in support of immigrants’ rights at the downtown L.A. May Day parade on Tuesday. CEO Dov Charney joined the workers to show his support for the fair treatment of all workers, domestically and internationally, and his unwavering support for prompt, fair, and effective immigration reform in the United States. 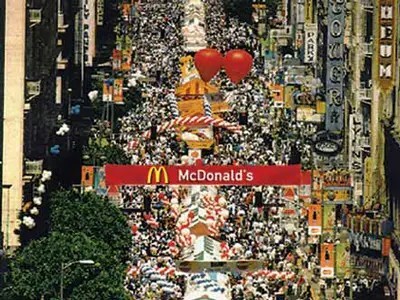 In 1992, as a response to the civil unrest in Los Angeles, Fr. 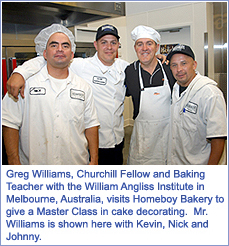 Greg launched the first business: Homeboy Bakery, with a mission to create an environment that provided training, work experience, and above all, the opportunity for rival gang members to work side by side. 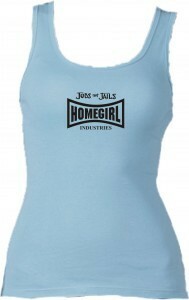 The success of the Bakery created the groundwork for additional businesses, thus prompting JFF to become an independent non-profit organization, Homeboy Industries, in 2001. 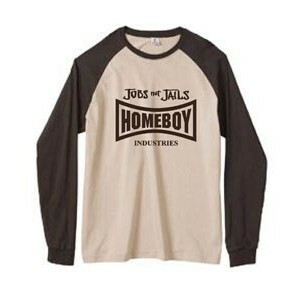 Today Homeboy Industries’ nonprofit economic development enterprises include Homeboy Bakery, Homeboy Silkscreen, Homeboy/Homegirl Merchandise, and Homegirl Café. Started as a jobs program offering alternatives to gang violence in one of the toughest neighborhoods in Los Angeles, Homeboy assists at-risk, recently released, and formerly gang involved youth to become contributing members of their communities through a variety of services in response to their multiple needs. Free programs — including counseling, education, tattoo removal, substance abuse and addiction assistance, job training and job placement — enable young people to redirect their lives. 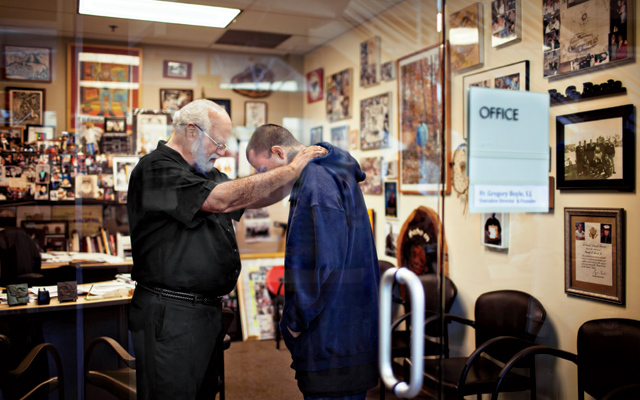 Homeboy provides them with hope for their futures and is the nation’s largest gang-intervention and re-entry program – a model to all. Additionally, one of the many jobs one can get is being an extra on the hit show Southland who works with Homeboy Industries to make the show as real as possible. 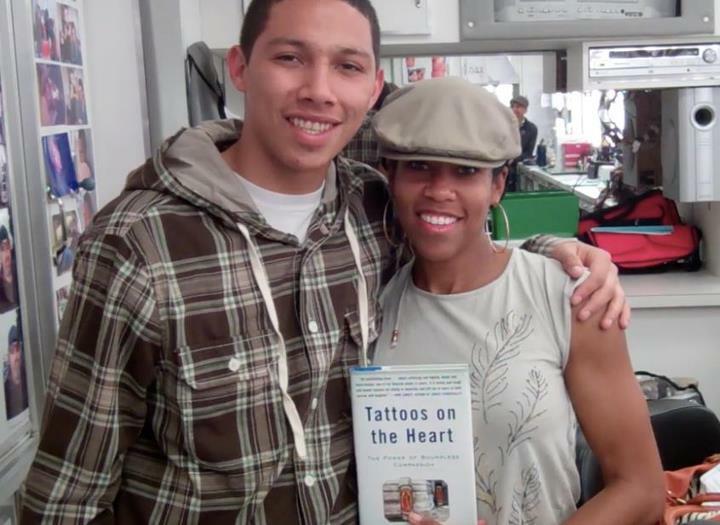 Father Greg’s first book, Tattoos on the Heart: The Power of Boundless Compassion, was released on March 9, 2010, which received the 2010 SCIBA (Southern California Indie Booksellers Association) Non-Fiction Book Award and was named as one of the Best Books of 2010 by Publishers Weekly. Homeboy Industries has made so much progress that on Saturday April 21, 2012 they hosted their 10th Annual Lo Maximo Awards Dinner. The Homeboy hero was awarded to Brian Moon, the Homeboy Community Service Award was awarded to Bruce Karatz and the Homeboy Media Award was awarded to Southland’s Executive Producers John Wells, Christopher Cuhulack, and Jonathan Lisco. The cast of Southland also showed up and went with producers to accept their award. From margaritas to Mariachi and everything in between, here’s a rundown of the biggest fiestas taking place across the country. 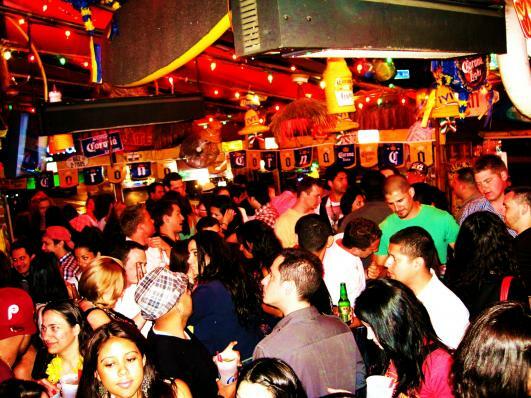 The Fiesta Broadwayis known as “the largest Cinco de Mayo celebration in the world. The monster street fair, which covers more than 24 square blocks of downtown Los Angeles, draws crowds of more than half a million people. 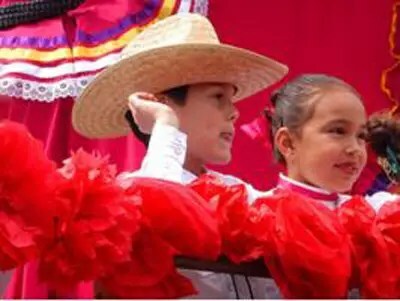 This year the fiesta happened on April 27th – 29th. The Mile High City is home to “Cinco in the Park,” a two-day festival hosted by Denver’s Civic Park Center that typically attracts more than 400,000 visitors and features over 350 food and retail vendors. 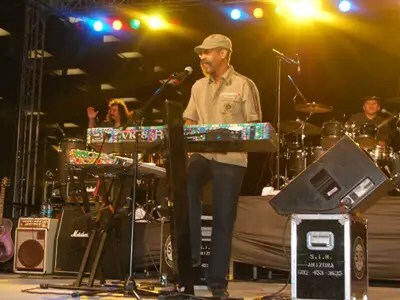 Look out for three stages of live entertainment, a Navy flight simulator, and the highly-anticipated annual Green Chili-Bowl Cookoff when the party — now entering its 25th year anniversary kicks off— kicks off with a parade on Saturday, May 5th at 10am. 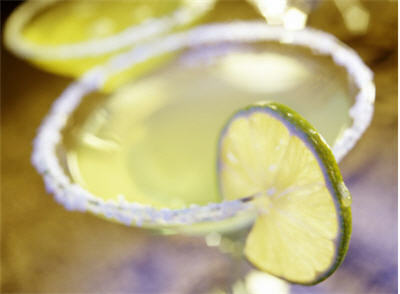 This year, the 19th annual Cinco de Mayo Phoenix festival willtake place May 5th and May 6th. The big bash draws in more than 150,000 enthusiastic attendees. Look forward to the endless mix of live music, batting cages, and party-goers chomping down on one and half pound turkey legs. 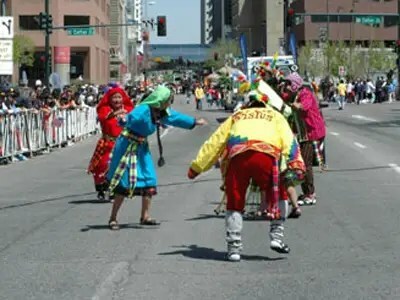 The “Spiciest Celebration” in Minnesota takes place in St.Paul’s District del Sol, which opens its streets to more than 100,000 attendees each year. The party begins on Friday, May 4th at 4 p.m. and keeps raging through Saturday night. What should you expect? 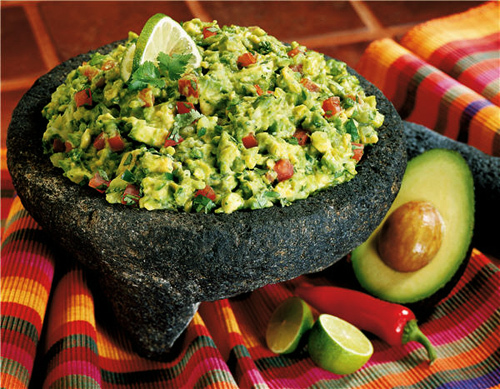 Six blocks of traditional latin food, music, and dance, a lowrider car show, and a “people’s choice” salsa tasting contest! 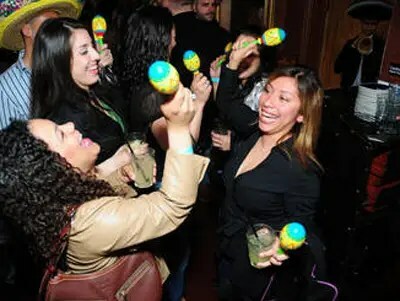 This year, Chicago’s Little Village neighborhood — the heart of the city’s Mexican community — will host its second annual Cinco de Mayo festival from Friday, May 4 to Sunday, May 6. In late September, Little Village is also the site of the Chicago’s annual Mexican Independence Day Parade. Get ready to see professional luchadores (Mexican wrestlers) riling things up at Portland’s 28th Annual Cinco de Mayo Fiesta, which starts today and continues through Sunday, May 7. 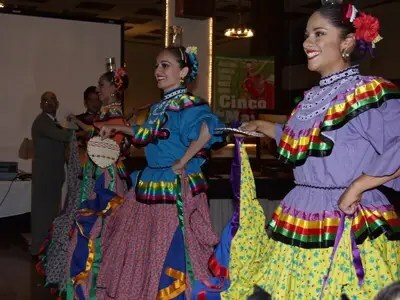 The extravagant celebration takes place along the waterfront and showcases a variety of local talent and professional entertainment, including ethnic Mexican ballet dance and a Latin rock band. 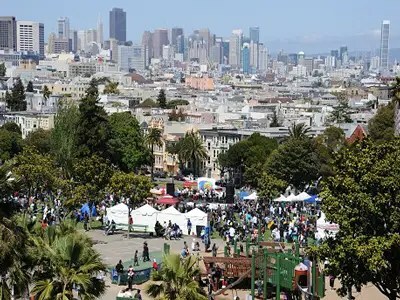 The Mission neighborhood in San Francisco celebrates its eigth annual Cinco de Mayo spectacular this weekend in Dolores Park. The family-friendly, alcohol-free extravaganza is expected to draw more than 5,000 people — just the right number to start a giant Zumba-thon Exercise Class, which will launch the entire event on Saturday, May 5.